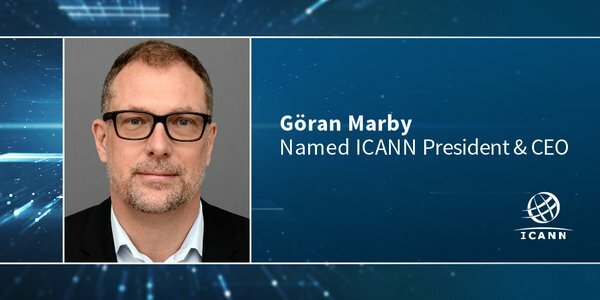 Göran Marby, an experienced business executive and government leader has been named as the next President and Chief Executive Officer of ICANN), he will replace Fadi Chehadé who will be concluding his tenure in March 2016 to move into a new career in the private sector (outside the Domain Name Industry). Marby will succeed current President and CEO Fadi Chehadé whose term finishes on March 15, 2016. Marby will join ICANN in May 2016. During this time, Akram Atallah, President of ICANN‘s Global Domains Division will serve as acting CEO.